Having just returned from a few days in the balmy weather of the Florida Keys, I couldn’t resist a story befitting the small but eclectic community of Key West. It is a great place to visit, especially when the weather turns wet and chilly in Texas. Enough vacation reminiscence; this is not a travel blog! Carl Tanzler was born in Germany. He later moved to Zyphyrhills, Florida with his wife and two daughters. Leaving his family behind, he eventually became a resident of Key West, Florida, where he was known as Count Karl von Cosel. He was a man who embellished his accomplishments and education, claiming to have completed several university degrees, having previously served as the captain of a submarine and that he was an inventor. In reality, he was simply a civilian x-ray technician with questionable credentials for that occupation, who worked at the U.S. Marine Hospital in Key West, Florida. 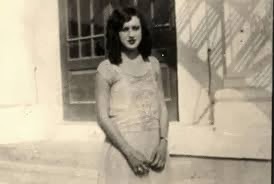 In 1930, 20 year old Maria Elena Milagro de Hoyos met Tanzler when she came to the hospital with her mother. Elena was soon diagnosed with tuberculosis, which was, at that time, a likely death sentence. Tanzler became obsessed with Elena, making proposals of marriage and attempting to win her affection. His proposals were rejected. Tanzler did convince Elena and her family that he could treat her illness with a variety of medicines, x-rays and electrical equipment. His treatment, however, was not performed at the hospital, where he would likely have been found out, but at the Hoyos home. Elena succumbed to the disease a year later. This could have ended the story of a beautiful young woman dying and an older man’s obsessive love for her going unfulfilled, but that was not to be. Two years after her death, Tanzler, in the dark of night, stole Elena’s corpse from the mausoleum where her family had laid the body to rest. 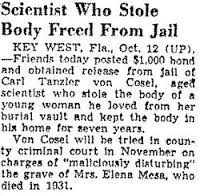 He took her remains to his home where he began repairing the decomposing Elena. He used plaster-of-paris, wax soaked silk rags, strands of Elena’s hair that had been cut by her mother and given to Tanzler shortly after her death, wires, and glass eyes. He also bought and dressed the corpse in fine jewelry and clothing. Copius amounts of perfume, disinfectant and preserving agents were also used to cover the odor and slow the process of decomposition. Soon other residents began questioning the “Count’s” excessive purchases of perfume and women’s clothing. A paper boy reported seeing him, through the window of his house, dancing with a large doll. Rumors began to circulate that he had stolen the body of his love. Elena’s sister confronted Tanzler about the stories and he was arrested for grave robbing, desecrating a corpse and destroying a grave. Surprisingly, he was found mentally competent to stand trial. A trial was held amid much publicity, but charges against Tanzler were eventually dropped due to a problem with the statute of limitations. You see, he kept the body at his home for seven years. 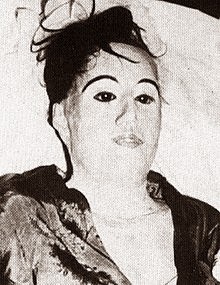 After the trial, Elena’s corpse was placed on display at the Dean-Lopez Funeral Home in Key West where it was reported that more than 6,800 people viewed the abused body. With all the public attention, Tanzler was reported to have later charged 25 cents for tourists to view his home. As with all morbid, twisted, and garish crimes, many myths have surfaced about the events surrounding Tanzler’s love affair with the dead body of Elena. A short YouTube clip claims even more disgusting details. That video can be viewed at http://www.youtube.com/watch?v=rT1g0U0o4n4. 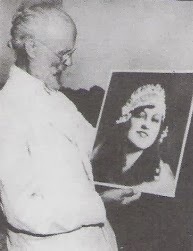 Tanzler eventually moved back to the town in Florida where his ex-wife lived. 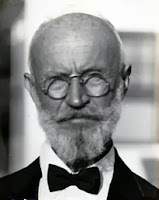 He wrote an autobiography in 1947, is reported to have been granted U.S. citizenship in 1950 and died in 1952. What a guy. And, they freed him. If only he had run a stop sign or something, the law could have put him away. But apparently not for something so disgusting as defiling a corpse.